Clare Furniss | All-new cover for How Not To Disappear paperback is revealed! All-new cover for How Not To Disappear paperback is revealed! 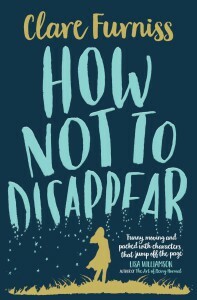 The brand new cover for the How Not To Disappear paperback has been revealed and very beautiful it is too! As an author one of my favourite parts of the publication process is seeing the different ideas for covers and the work that goes behind the scenes to find a look that is right for the book.